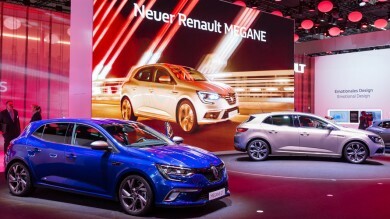 Just a week after shedding its veil, New Renault Mégane will be holding court on the Renault stand at the two-week Frankfurt event, thrilling visitors with its sleek design and advanced technologies. So let's take a closer look at the latest creation of Renault design genius. #IAA2015 - Willkommen in Frankfurt: what are the news on our stands? 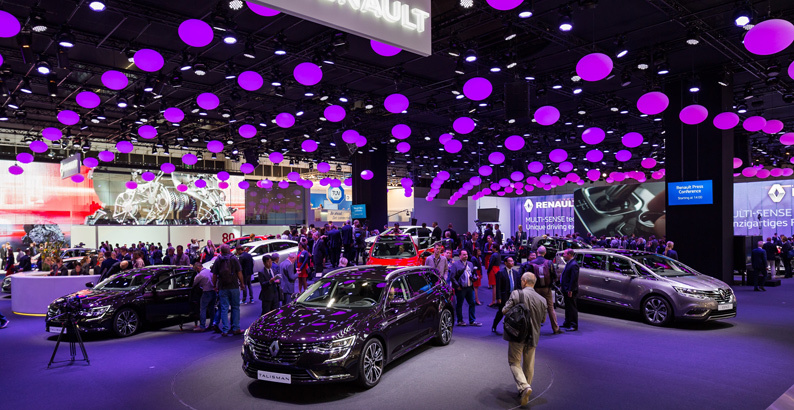 The 66th Frankfurt Motorshow was kicked off this morning and if for those of you who do not have a chance to visit it we have gathered a summary of what are this edition’s biggest stars on the Renault and Dacia stands. You will discover pictures of New Megane and Talisman on the Renault stand and 2016-Generation Duster on the Dacia stand. 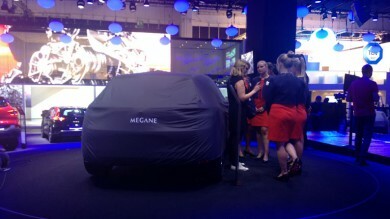 New Renault Mégane is THE brand new product unveiled at our stand in Francfurt. What is behind the C segment newbe? There is no better than Delphine de Andria, C segment Chief Product Specialist to introduce us this new model. 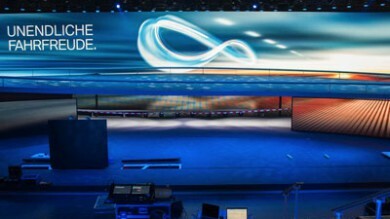 One of the very important moment of the 2015 season, the IAA (as Internationale Automobil Ausstellung) will start tomorrow for internationtal press coming from all around the world. During 15 days (September 15 – September 27), some 900 000 visitors will be flocking in to check out the 1000 stands and the 235 000 m2. Put your most confortable shoes and let’s take a ride. 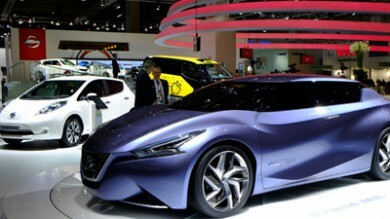 2013 marks Nissan's return to the Frankfurt Motor Show. Among the many cars on display, we liked the new X- Trail, the Friend-ME concept and Nissan e-NV 200, an all-electric taxi for the city of Barcelona. 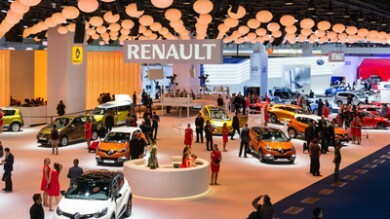 Like all the world’s carmakers, the Renault group presented its latest models at the 2013 Frankfurt Motor Show. 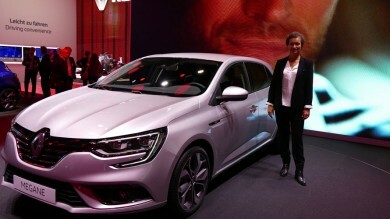 Renault unveiled the Initiale Paris concept car, heralding the arrival of the Espace replacement in an Initiale Paris version, along with a freshly restyled Mégane range and plenty of motorsport and competition news. Dacia showed off a Duster better set than ever for adventure. But what are our competitors up to? And what trends did we spot at Frankfurt? Here’s a rundown of the headlining models and news at the 65th edition of this major auto industry get-together. Read on for a tour of the competition with Renault as your guide. 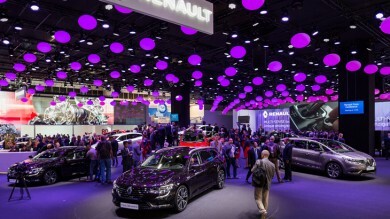 Design plays an important role on the Renault stand at the 2013 Frankfurt motor show, with the introduction of new concept car Initiale Paris. Our 6 latest concept cars are also showcased on the stand. What better opportunity to launch our official "Renault Design"
Wonder what happened on the Renault stand during the Frankfurt Motor Show press days? Want to find out more on Renault's latest cars? 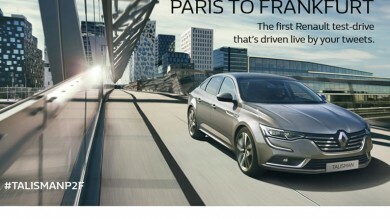 Everything you need to know about Renault at the 2013 Frankfurt Motor Show: freshly revealed Initiale Paris concept car, the revamped Mégane line-up, or what the brand's doing in the motorsports department.